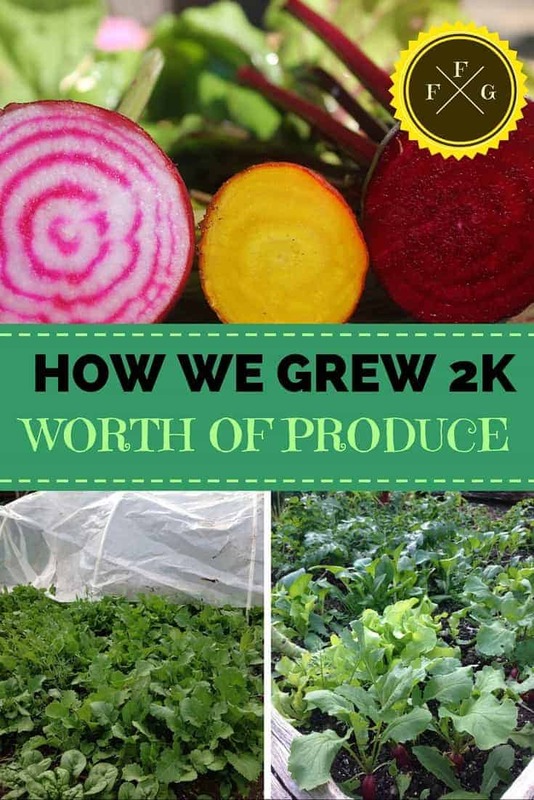 Today I wanted to share with you how we grew 2k+ worth of fruits and vegetables in our 2015 family food garden. We live in the Canadian mountains in a growing zone 5. I don’t grow within our ‘first and last frost date’; I’m an avid user of season extenders to add a couple of months or more to our gardening season. 2015 was our best gardening season to date in terms of dollar value and harvests, despite the fact that I was pregnant for the whole season! 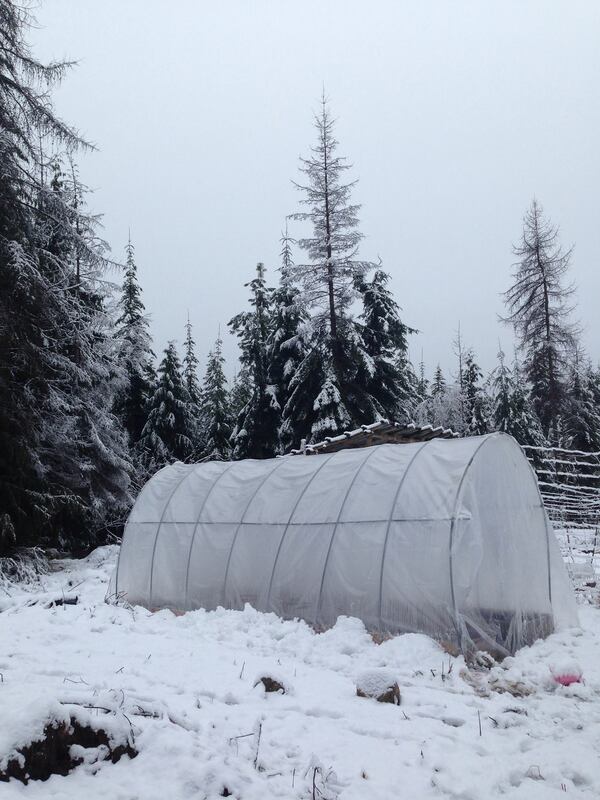 Because I was pregnant I didn’t want anything to do with the garden by September so I didn’t end up sowing our fall and winter crops which would have added further dollar value to our garden. The end $ value was just over $2,000 minus $370 input costs in the springtime. 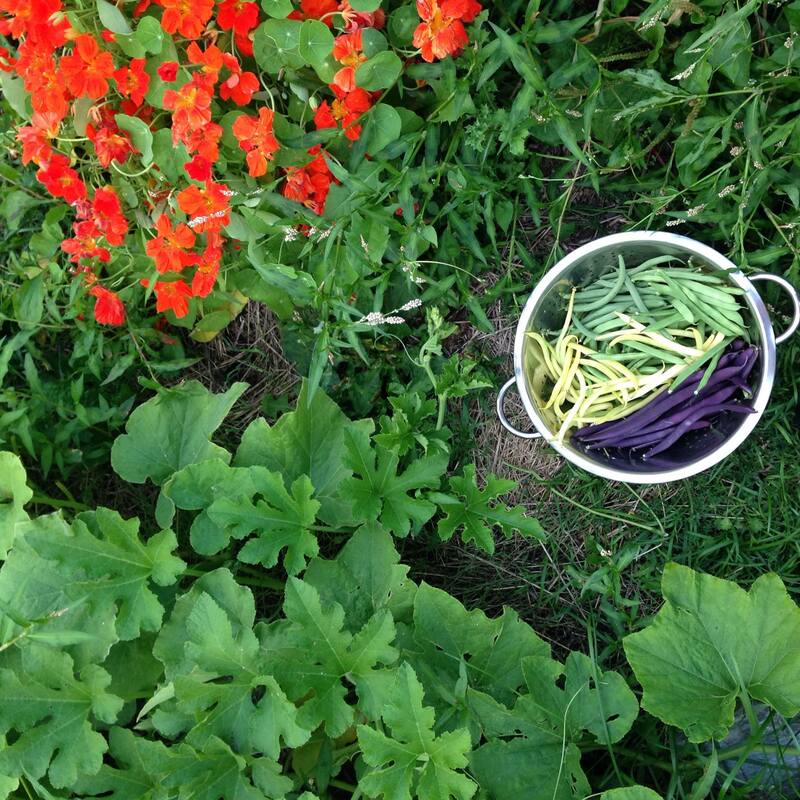 It’s the middle of winter and we’re still eating home canned and frozen food from our garden. How did I grow so much food? Spring and fall are our prime season extending months. 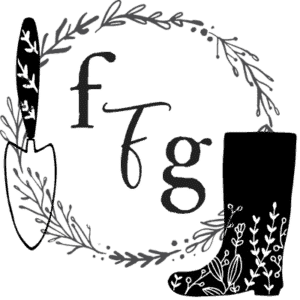 Getting a head start in the spring by warming up the soil and keeping it workable (even after snow or frosts) for transplanting can add weeks to your gardening season. 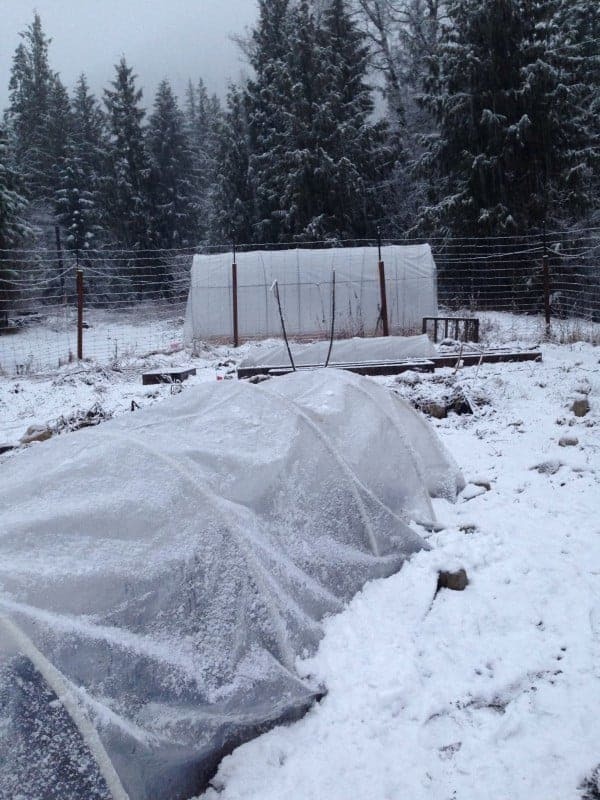 In the fall many plants are frost hardy but last even longer with some protection from the weather. Cash crops are produce items that cost a lot to buy at the grocery store. Baby greens like arugula and mescluns go for decent dollar value, as do fresh herbs. 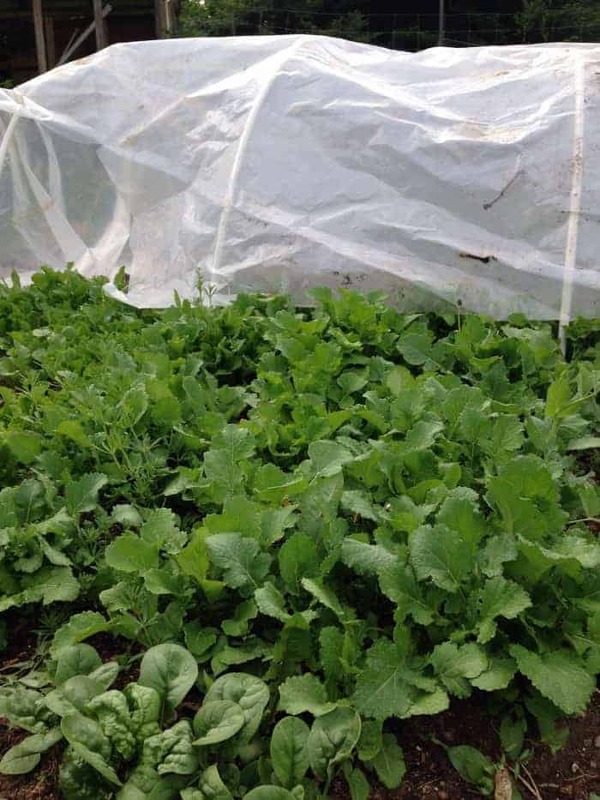 Baby greens grow fast and can be harvested multiple times which makes them excellent for the family food garden. We grew a lot of peppers and preserved them (over 40lbs) which are also very expensive to buy. 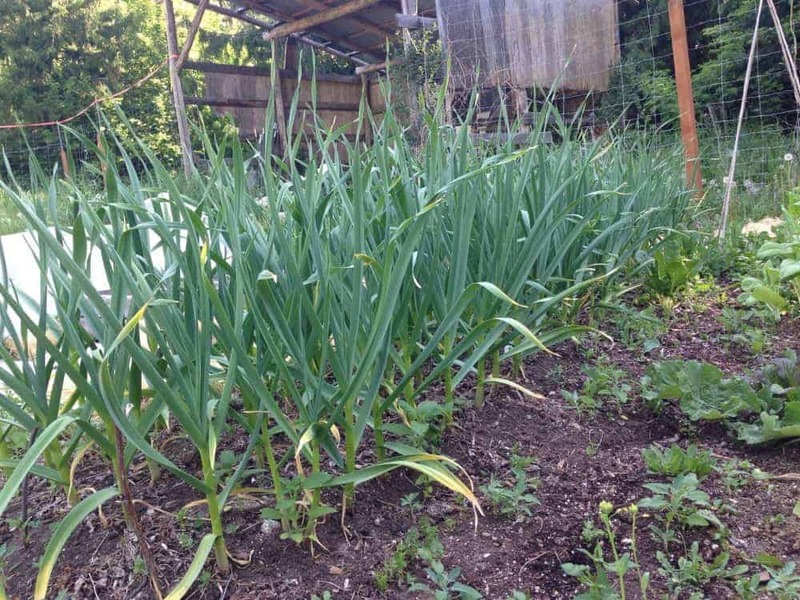 We grew 180 cloves of garlic and many other cash crops as well. 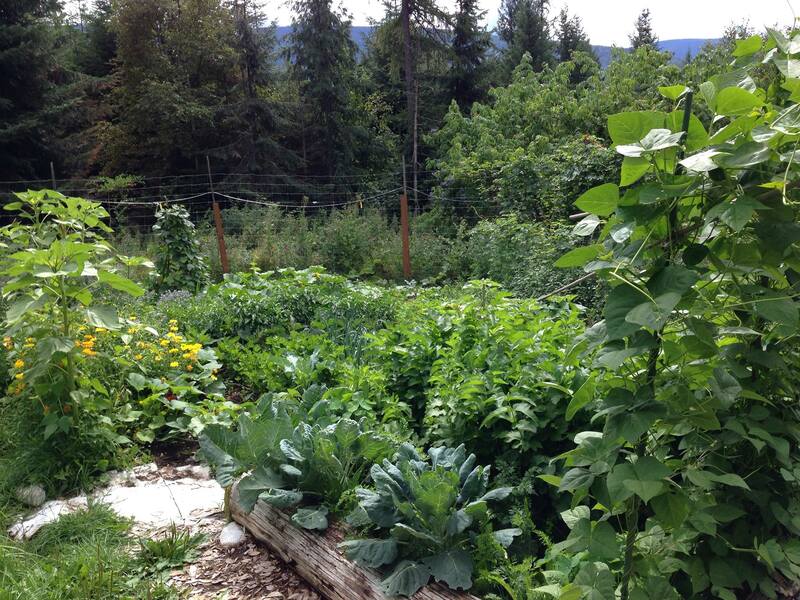 Growing crops that cost a lot to buy is perfect for adding dollar value to your garden. 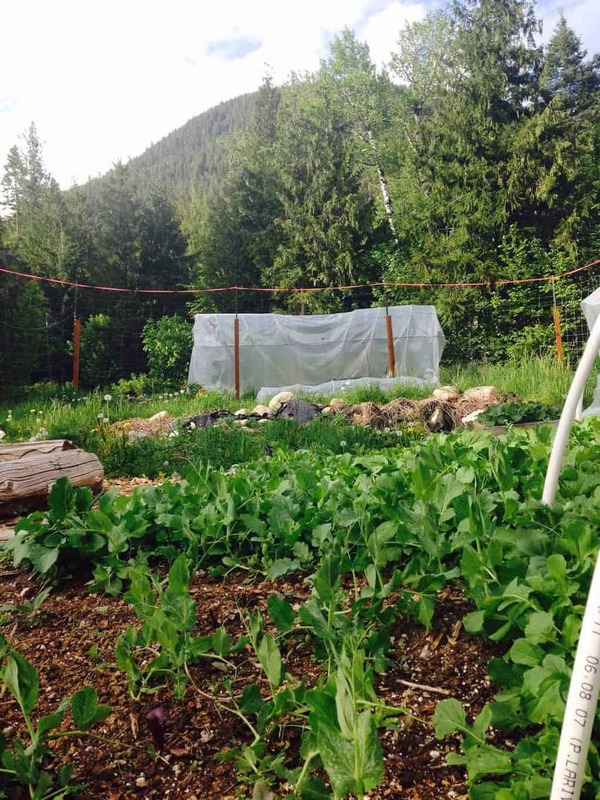 Planning your garden right for the season can help to maximize your growing space so you can increase the amount of food you’re growing. Rather than having a bed full of one crop during the summer, I organize our crops and find as many opportunities for ‘pre and post crops’ to our main harvest crops. For example if I know I want a bed full of tomatoes I practice season extending in the spring to get a pre-crop of baby greens and radishes. Then the tomatoes get transplanted and I allow some of the lettuce to become full head lettuce before the heat sets in and the tomatoes need the growing space. Once the lettuce gets pulled I transplant basil which is a great cash crop. Towards the end of the season when both of these crops are done, I amend the soil, sow some spinach, arugula and winter mescluns for a ‘post crop’ in our fall garden. 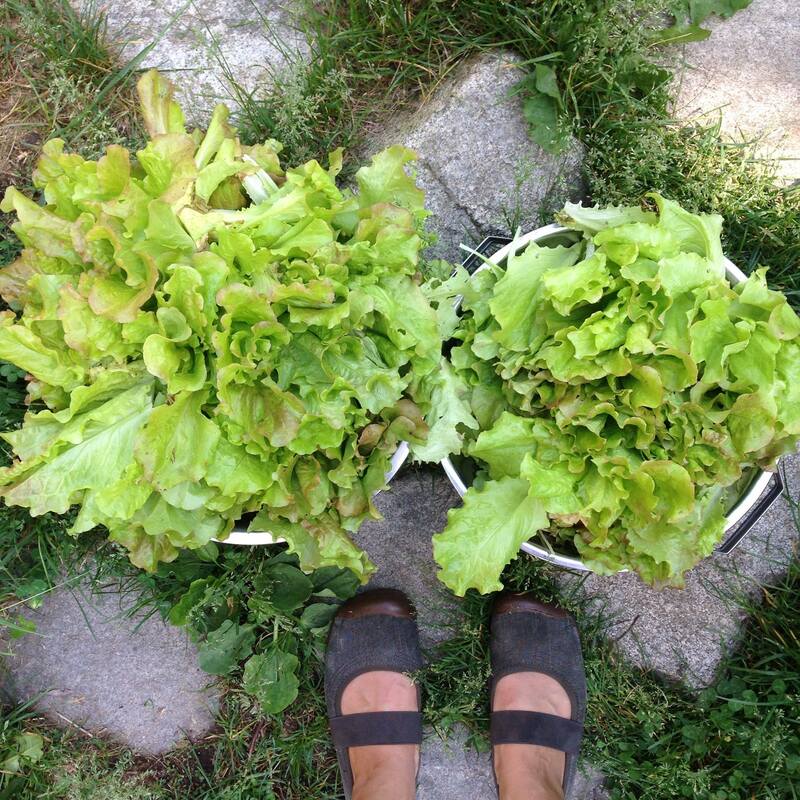 I do this with every garden bed and crop that we’re growing. It’s amazing how much more you can grow with careful planning. 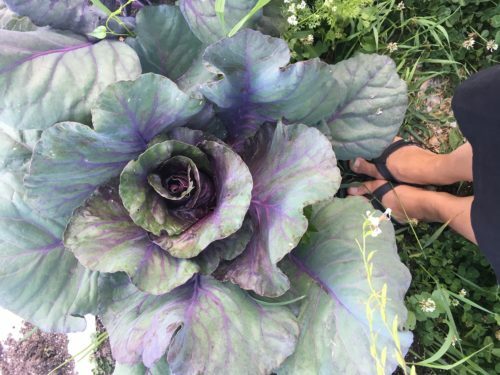 I’m so happy that I grew lots of food for our family in 2015. Because the produce prices have been going up the past couple of months, my goal is to keep maximizing our family food garden this year. Not only does our family get to eat healthier fresh produce, we have more food independence and our kids get to know where their food comes from. I look forward to sharing how we do this with you so you can do the same! 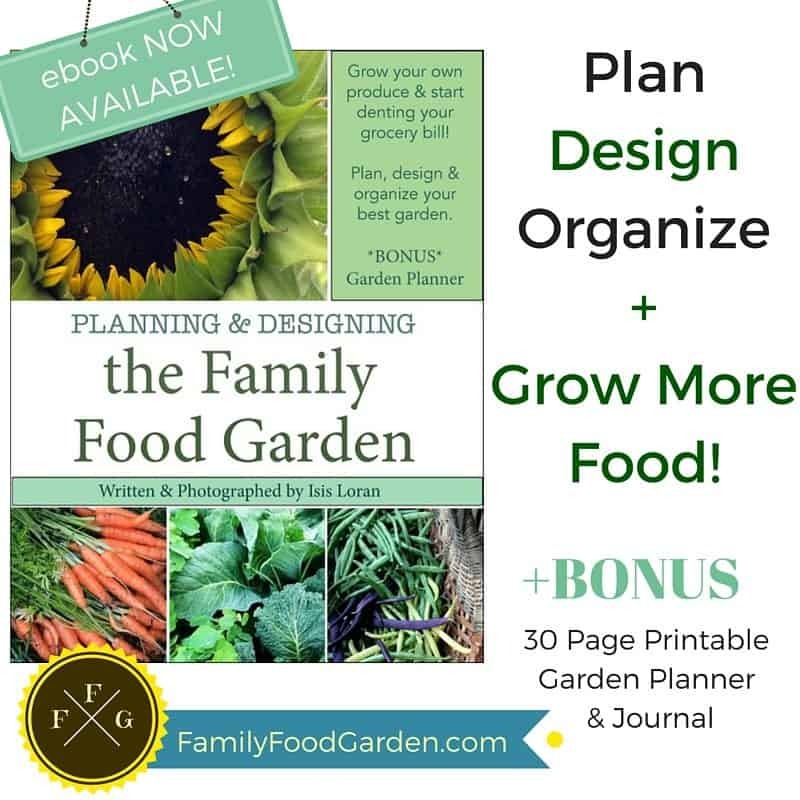 Are you interested in planning an amazing garden? Great ideas! 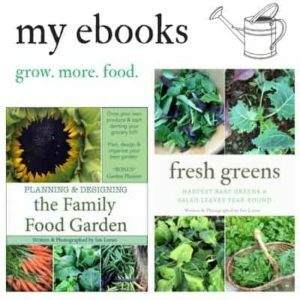 I want to maximize my garden yields this year. I will use some of your good ideas. 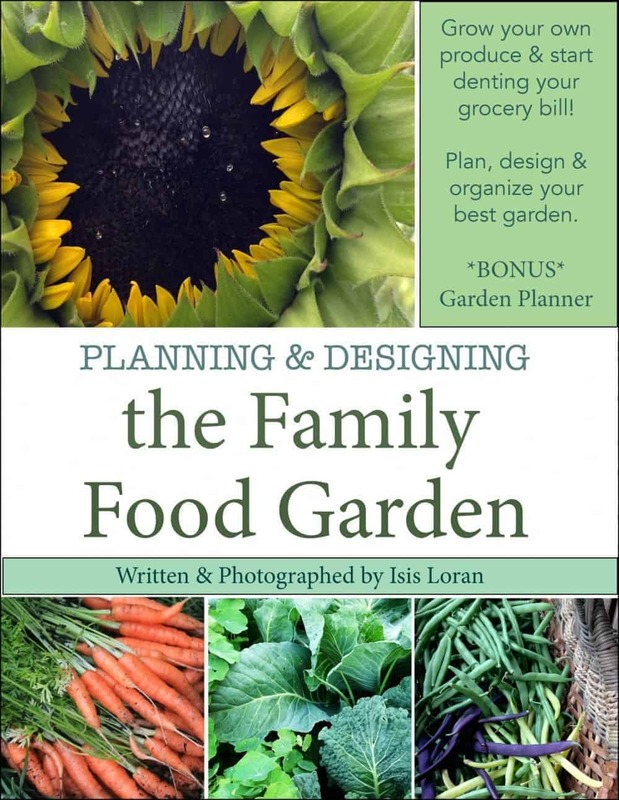 Oh, Isis, you are awesome at garden planning, indeed, and I am learning a lot. Thank you! Curious where you live ? We are near Dawson Creek B.C . What is 2K is that close to a ton? And what is the measurements you are using k is something we use as kilos which is equal to 2.2 pounds. Congratulations! We are still eating garden produce as well. And there is lots of stuff I will do differently next year. In particular, I want to either grow or buy in season lots more peppers to dehydrate. Unfortunately my husband can no longer eat salads, so a bit of mesclun will go a long way. I have some fresh under grow lights right now! For that reason I will plant more of a delicious tender chard variety called Lucullus this year for freezing. Sauteed greens will be served with many meals instead of the almost universally suggested green salad. Strictly in terms of cash I suspect raspberries and garlic are my most valuable. I can’t believe people buy those tiny 6 oz baskets with out of season raspberries in a depressed town like Nakusp. I have no idea how you are doing it with all those little helpers under foot! Happy spring planning.